Spokane's endless source of inspiration. When Paul Lindholdt moved to Spokane in 1994 to take a job at Eastern Washington University, he discovered something was missing. He grew to appreciate the region as a kid visiting with his dad for hunting, camping and fishing trips. But as a scholar, he couldn't find any comprehensive book on the Spokane River — the body of water that, as he writes, "anchors the city." So 24 years later, he decided to put together that book himself. 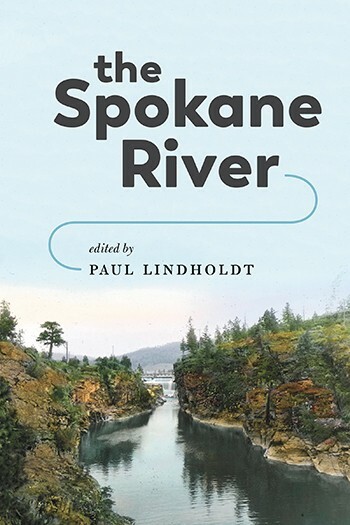 The Spokane River, edited by Lindholdt, an EWU English professor, is an anthology on how the river has shaped the region and its people throughout history. Released March 19, the book features 28 contributors that include local authors, historians, archaeologists and members of the Spokane Tribe. Lindholdt hopes the book will inform readers on the deep history of the river and the impact it's had on all aspects of the region. "I didn't even realize that there's so much to learn about it until I started in on this project and started imagining working on it," Lindholdt says. The idea to create a book on the Spokane River came to Lindholdt two years ago. It goes along with his academic specialty, "bioregionalism," a term for advocating that locals should be stewards of the biology of a region, in conjunction with its economy. "I thought the avenue was wide open to do this book," he says, "and it was long overdue." It's broken up into three parts. The first part is largely nonfiction essays or profiles by local authors and reporters, including former Washington state poet laureate Tod Marshall, Spokesman-Review reporter Becky Kramer and novelist Jess Walter. Personal accounts of the river are mixed with the history. The second part is called "Culture, History, Society," and it's based in the social sciences. Readers learn about the history of pollution in the river, willfully ignored by the city of Spokane for decades before anyone decided to do anything about it. And it delves into Native American history as it relates to the river, concluded by two poems from Native American writer Sherman Alexie. The third section is devoted to the hard sciences: archaeology, biology and hydrology. Readers will learn about the effects of climate and water quality, understanding how it affects life in and around the river. "The theme that ran through, and what I learned about it, is just how deep our history is here — and by 'our' I mean humankind," Lindholdt says. Through the process, Lindholdt learned how far back that history goes. For example, he learned that the confluence of Latah Creek and the Spokane River is the oldest place of inhabitation in present day Washington state. He learned how the decisions humans have made throughout history impacted salmon in the Spokane River and the way of life of the surrounding people. 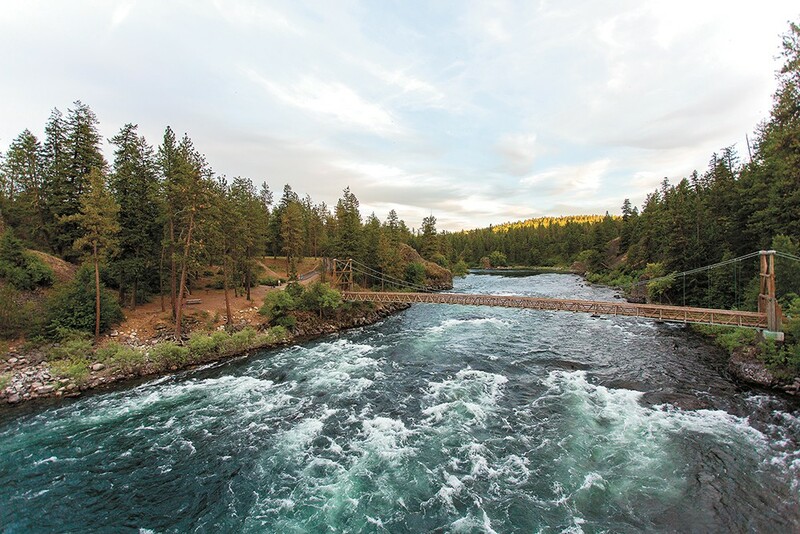 He thinks the book will have broader appeal beyond the Inland Northwest because the history of the Spokane River has broader implications for environmental awareness in Washington state. It will show people how to take ownership of their local environment, he says. It's why Lindholdt is giving all royalties directly to the Spokane Riverkeeper, which protects the river from pollution. EWU and two local nonprofits funded the book, so Lindholdt figured he'd use the royalties to give back. The original print version of this article was headlined "Flowing Through Time"